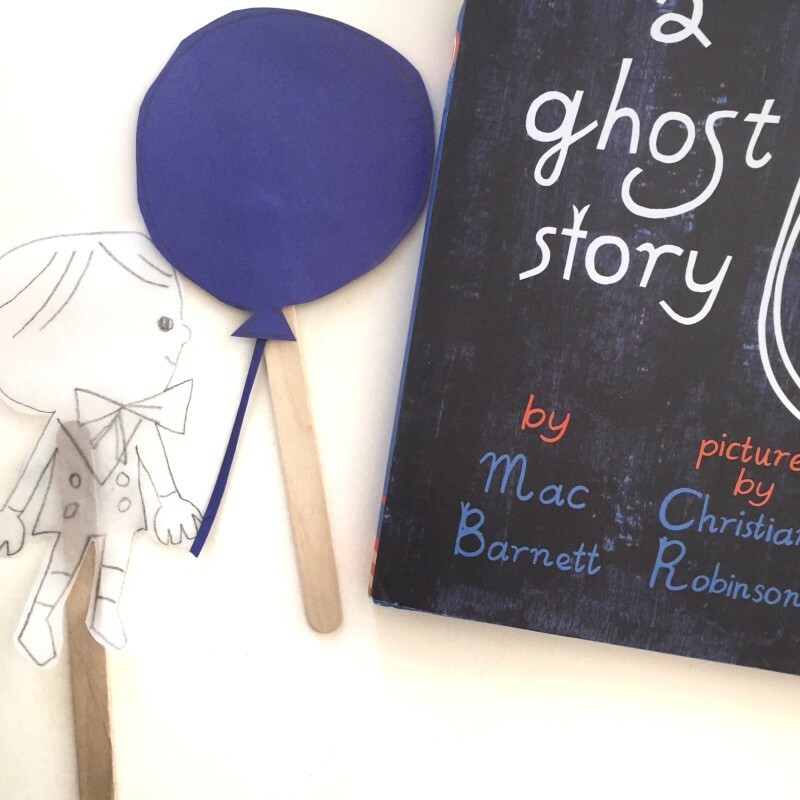 LEO: A GHOST STORY is a book that reflects a child’s imagination with its pretend-play, the way a ghost feels commonplace, and the fact that Christian Robinson’s illustrations are created out of imperfect cut-paper. Also, knights of the round table and sidewalk chalk drawings! 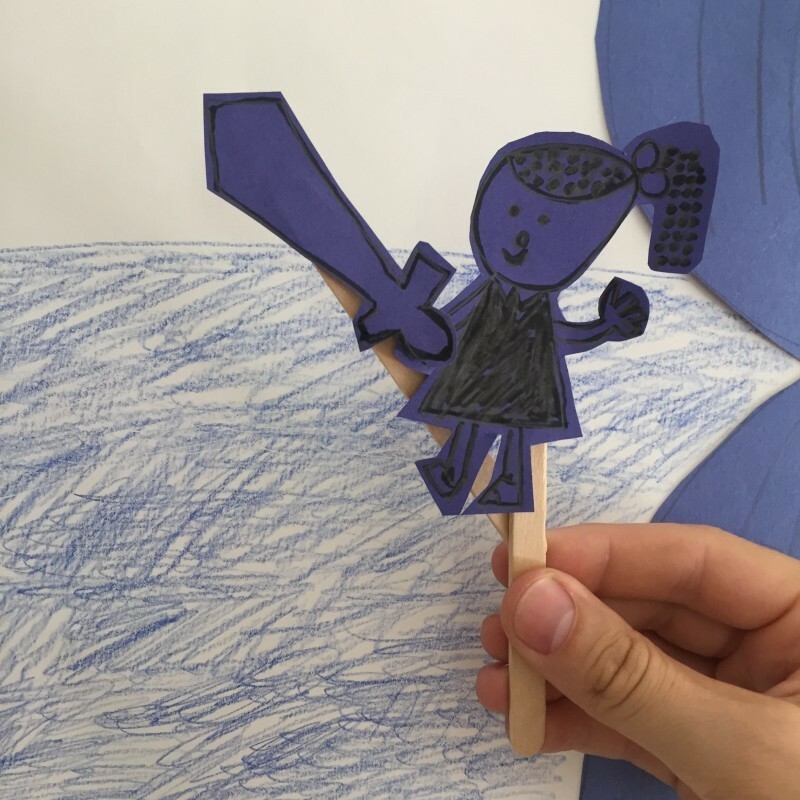 I figured a good craft to pair with such an imaginative book is one that allows for a child’s own imagination to shine in the making and the playing. 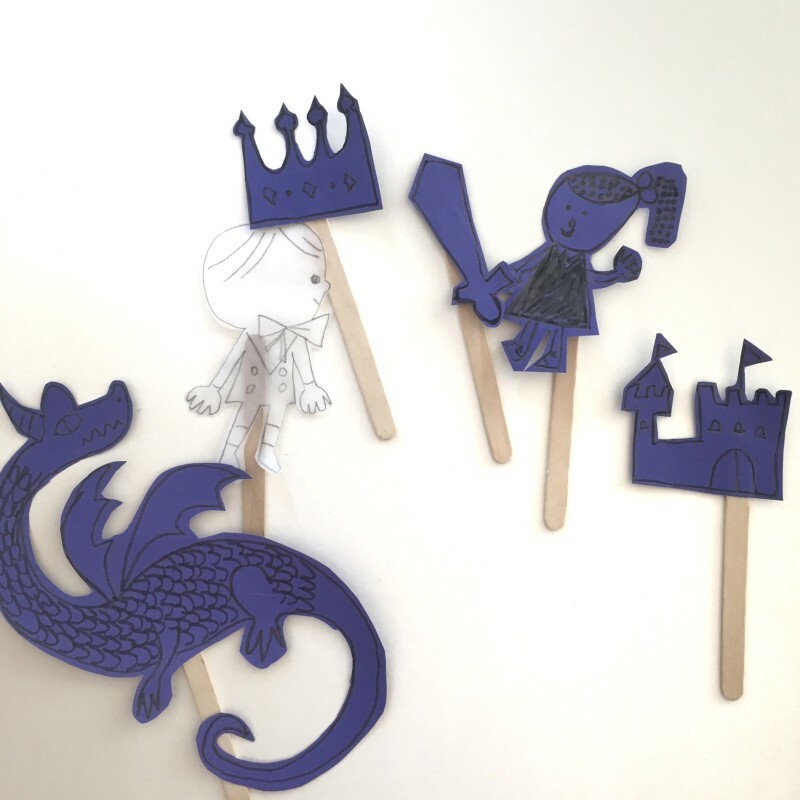 Thus, we give you, popsicle stick puppets of Leo, Jane, and the whole make-believe gang! 1. 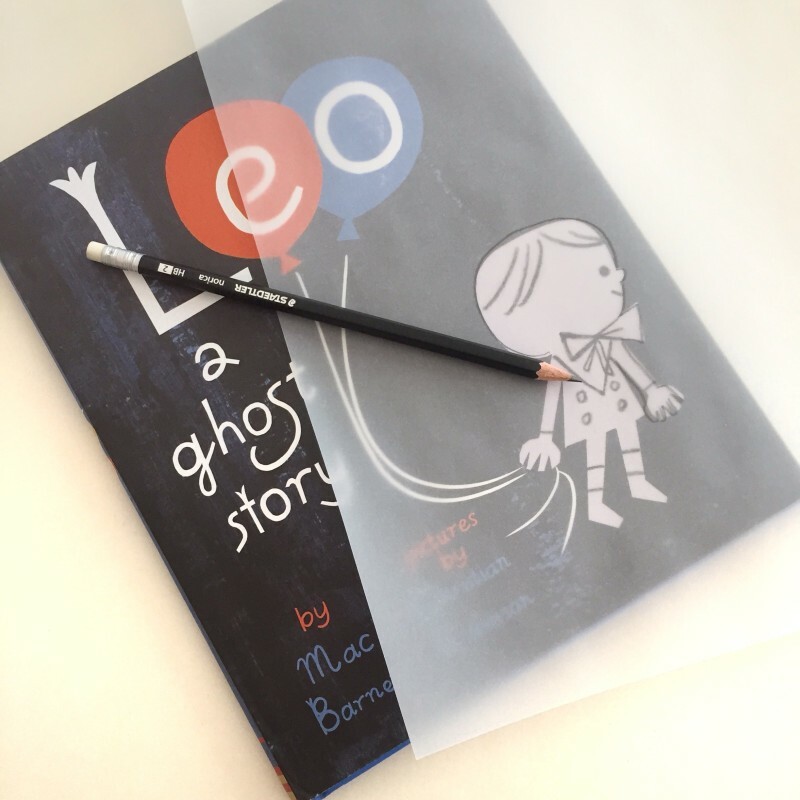 Trace Leo from the cover of Leo: A Ghost Story in pencil; cut around him. 2. 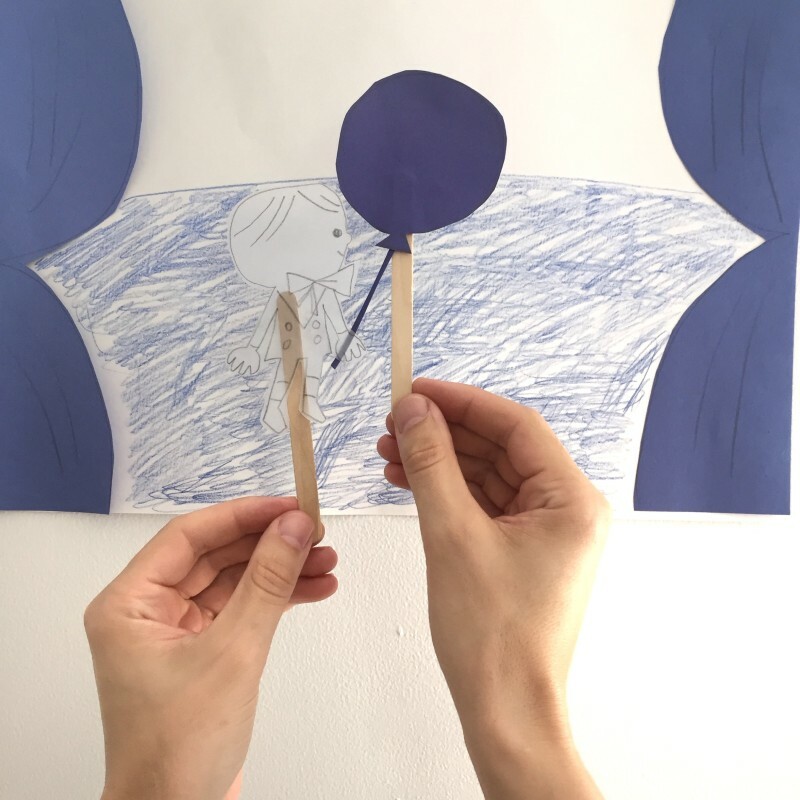 Tape transparent Leo to a popsicle stick and you’ve got a puppet already! 3. 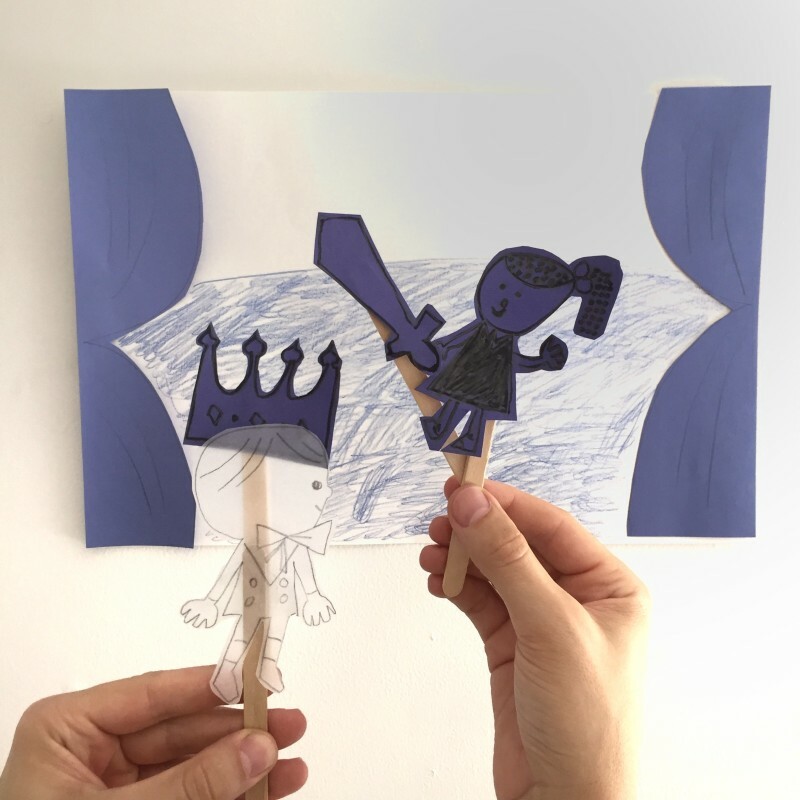 Draw Jane and other elements from the book by hand on blue construction paper (pencil first, then marker recommended); cut around them. 4. 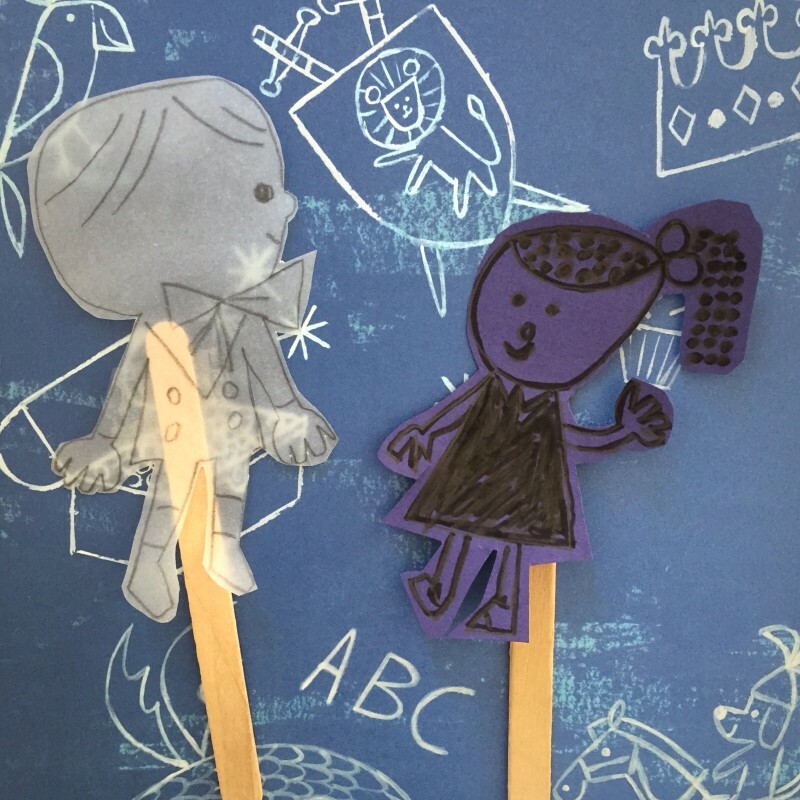 Tape Jane and other elements to popsicle sticks. More puppets! 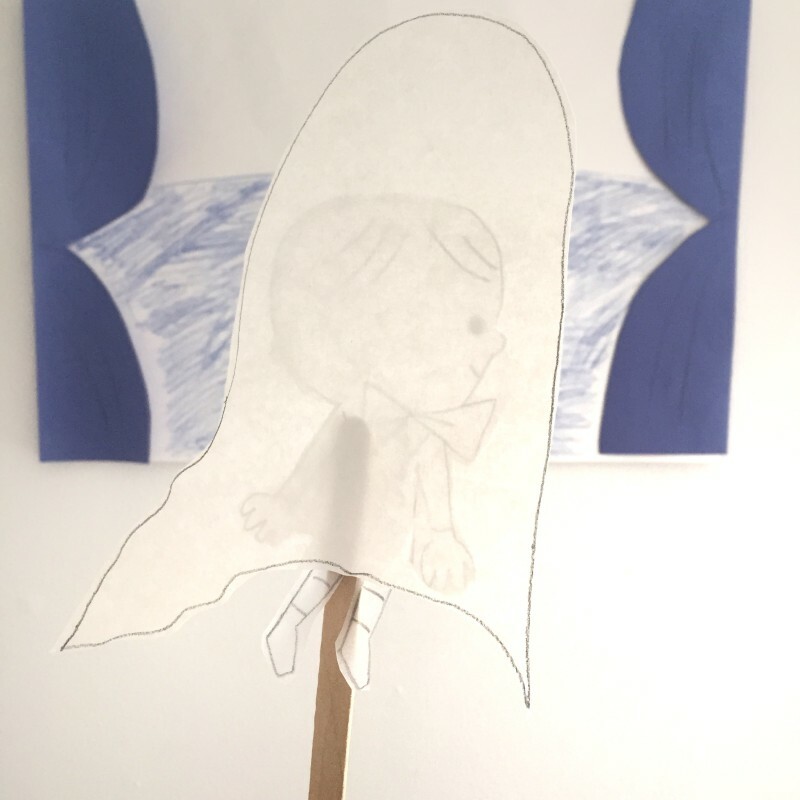 Optional for stage: Draw and cut out curtains; tape them to white paper; color in blue halfway up. Tell your own stories with Leo and Jane! 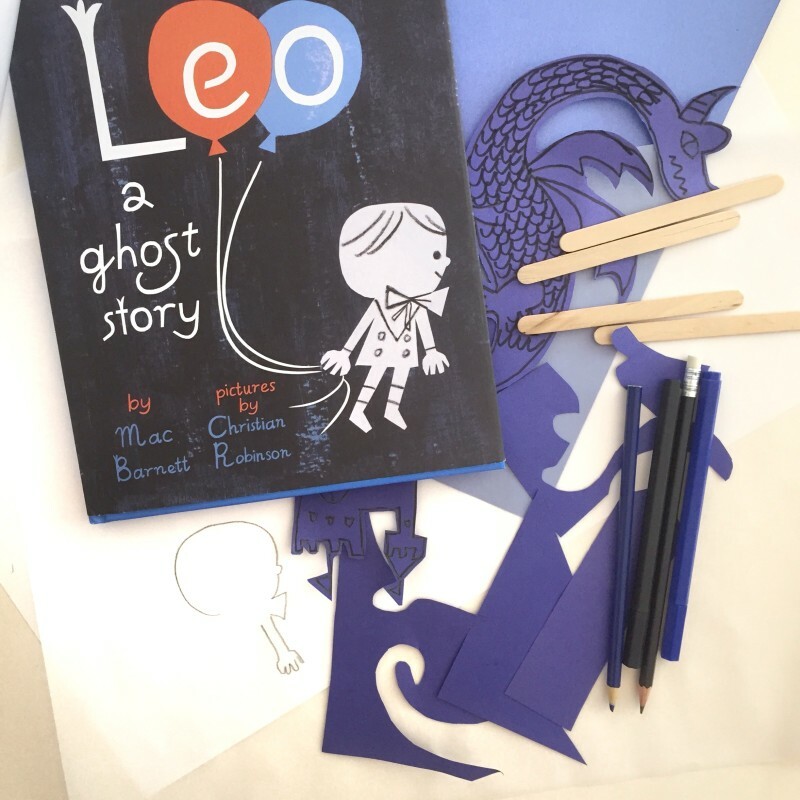 Be sure to check out our ALL THE WONDERS of Leo: a Ghost Story post for much more with Leo, including an interview with Leo: a Ghost Story author Mac Barnett, an interview with Christian Robinson, Leo’s illustrator, and a look inside the book.